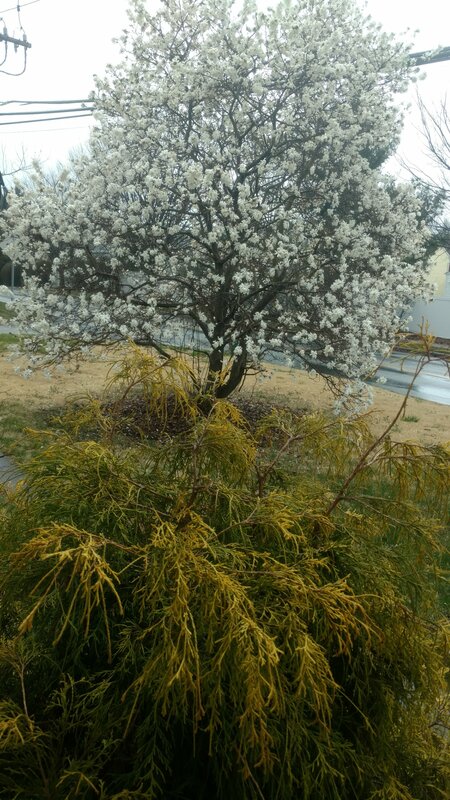 Honestly, I did not like this shrub in the fall. It looked so plain. But now…. what a nice scent! You can smell the delicate fragrance as soon as you step out of the car. After months of wondering, the white flowering shrub has a name — Star Magnolia!